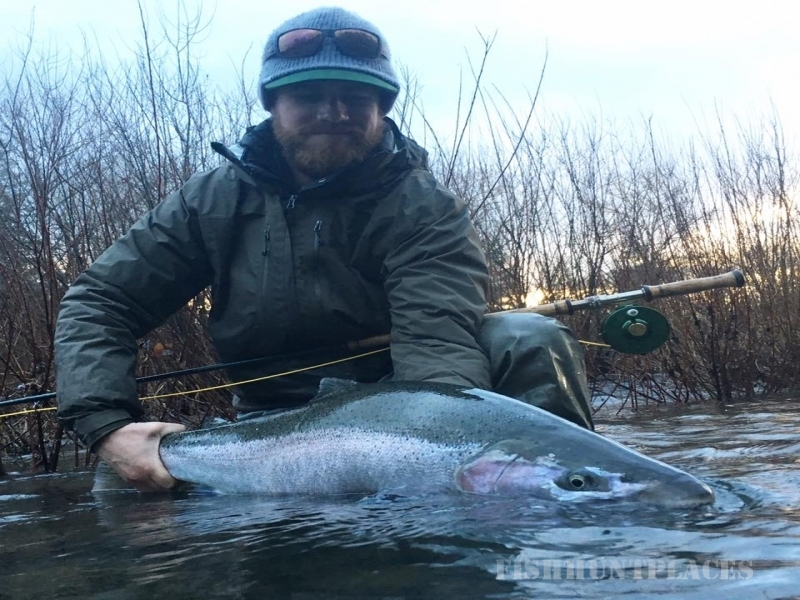 Fish the Swing is a fly fishing guide service owned and operated by Jeff Hickman, specializing in two-handed rod fly fishing for steelhead in northern Oregon’s best rivers and now British Columbia too. 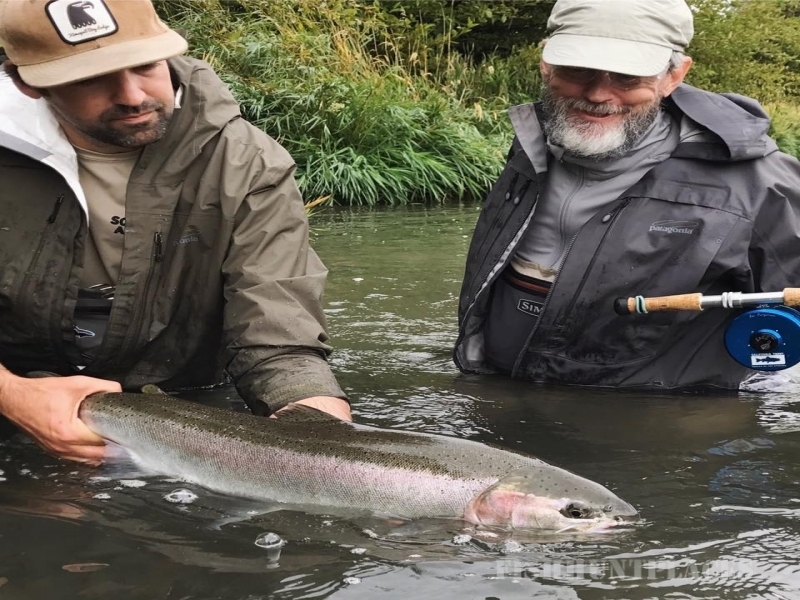 In our 40+ years of combined experience fishing these rivers we have gained a vast knowledge of the fish that inhabit them and how to catch them on the swing, the best way to do it! Using a jet boat, drift boat or raft to access the best water, all fishing is done while wading. Fish The Swing has the unique ability to use both your existing skills and teach you new skills to give you the best chance at catching fish while giving you the best experience possible on the water. With our laid back style of teaching and no nonsense approach to guiding and fishing, you are certain to learn a ton in a day spent on the water with us. We feel that you will agree, if its your first day with us or your 100th, it will be a blast. So come on out and Fish The Swing with us. We are a young, fun, professional and energetic company. We have a deep commitment to customer service and our staff is the best in the business. The entire crew has a sense of ownership of Fish The Swing, that is apparent while you are here with us. We ensure that as a guest, you'll feel like an old friend coming for a visit, not just another customer. We pride ourselves as green minded and we take the conservation of our natural resources very seriously. We are all here because this place is incredible. We love sharing our appreciation, excitement and sense of awe with you. We have a strong attention to detail that is noticeable throughout our operations. We serve the best food possible and we use the best equipment possible. 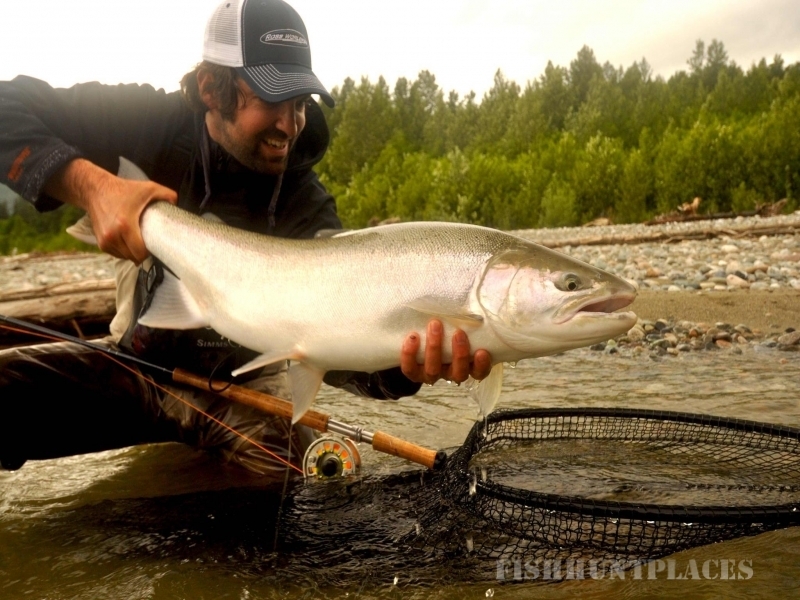 State of the art boats, full selection of loaner spey rod setups, custom flies, tents, cots, BBQ's and camp stoves. We aim to make the best impression from your arrival and work to maintain it throughout your trip.